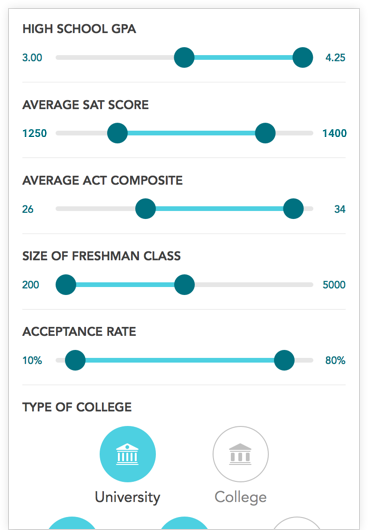 GPA, SAT and ACT score averages, percentiles and ranges against which to compare your results. Comprehensive student demographics, profiles and popular majors so you can figure out how you will fit in. Admission requirements and deadlines, including priority deadlines for rolling admission schools, so that you don’t miss an opportunity to qualify. Just tap on a date to add it to your calendar. Tuition, fees, financial aid statistics and post-graduate salary data to assess affordability and return on investment. Similar schools curated by hand based upon a variety of factors, because location isn’t the only thing that matters. Intercollegiate sports by division so you can decide whether to participate. Fast facts and quick links to enable you to speed your search without ever having to power up the desktop. Current weather, forecast and historical seasonal averages so you’ll know what to pack. Notable alumni, many of whom will surprise and delight you. 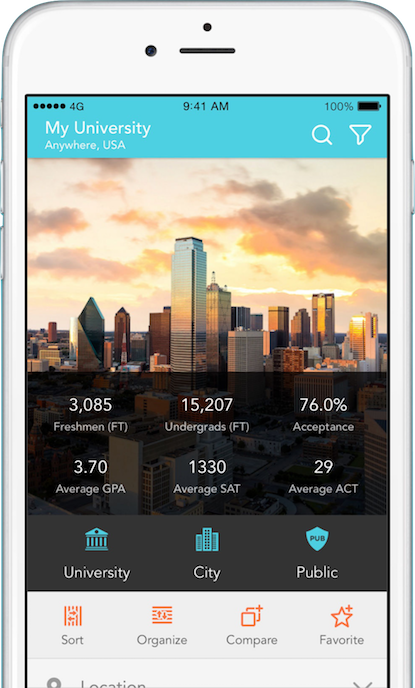 With advanced filter and sort options, you can narrow the field of colleges you browse by exactly the criteria you choose, or just add some colleges to your Favorites. With quick-search functionality, it’s always easy to jump to a school. 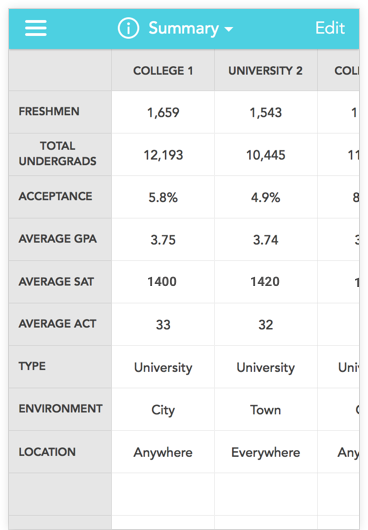 Select the colleges you want to compare and, presto, you’ve built a powerful spreadsheet that you can view in-app or export in a format that is ready to print. 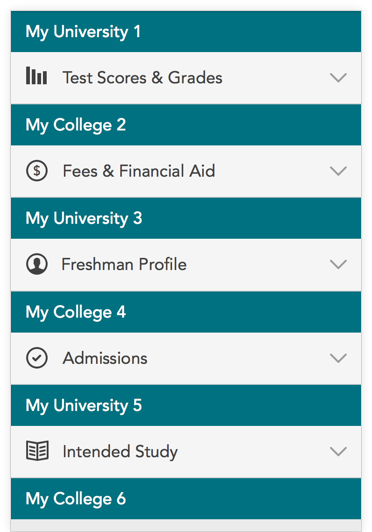 Save slices of information from each college and organize them for quick and easy viewing later by simply pressing and swiping down. 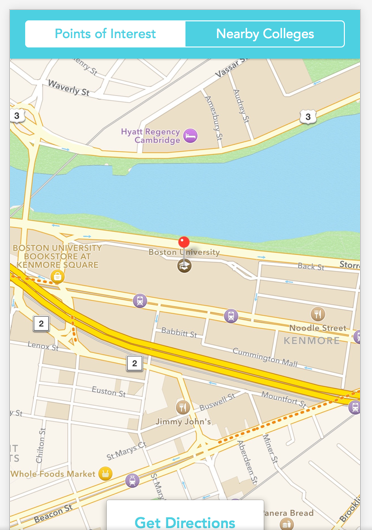 Check out the neighborhood and nearby colleges, and even get directions to campus without lifting a thumb. Name Please enter Name !! Email Please enter Valid Email !! Success! Thanks, We will contact you. Failure! Falied to send menssage.